What better way than a visual feast courtesy of 20 talented Australian architects we think you need to watch in 2019. They tick all the boxes, creating artful, intelligent, playful and sustainable spaces that interact with the local environment, and suit the lifestyles of the occupants. No mean feat. 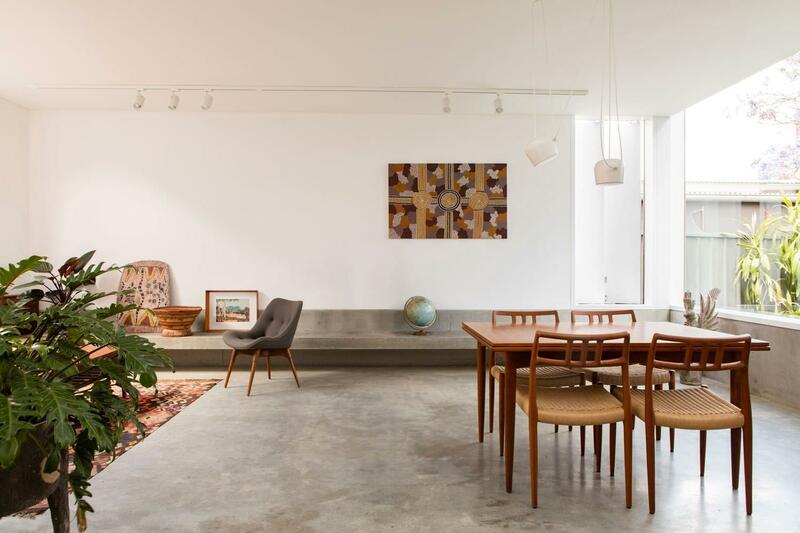 Surry Hills based TRIBE Studio Architects take an, ‘artful, intelligent and sustainable’ approach to their work. Principal and founder, Hannah Tribe’s goal is to create, ‘architecture of intelligence, empathy and energy’. 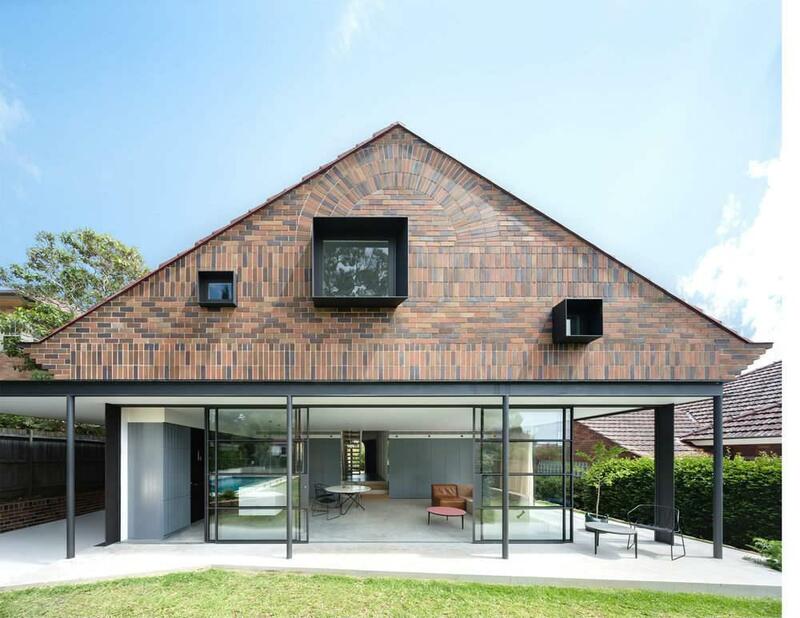 Recent industry accolades include AIA NSW Architecture Awards 2017 Residential Architecture (Winner - Alterations & Additions) for their work on Lindfield House; and Think Brick Awards 2017: Horbury Hunt Residential Award (Winner) for their work on House Au Yeung. 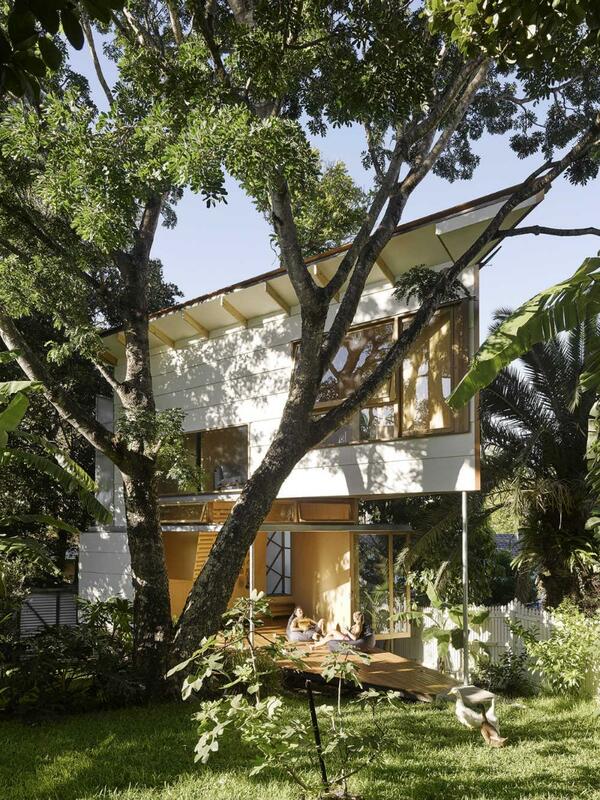 No wonder that Brisbane-based James Russell Architect takes inspiration from the tropics, where the environment allows for, ‘a minimal shelter’ and which allows occupants, ‘to interact with the environment and surrounding neighborhood’. This design, Mitti Street House, can best be described as climate-responsive, where the line between indoor and outdoors is blurred. 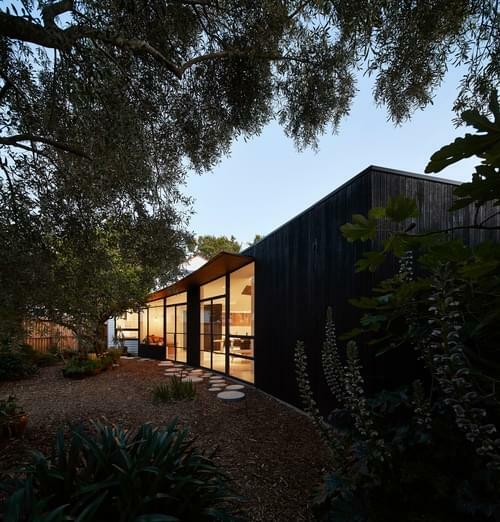 It was awarded the Residential Architecture – Houses (New): National Award in 2017 by the Australian Institute of Architects. This emerging practice is all about linking each project to the site’s context and inhabitants, with a very conscious effort to avoid designing cookie cutter buildings. BRANCH STUDIO ARCHITECTS also don’t feel constrained by a client’s budget, advocating that, ‘budget is no excuse for bad design’. Accolades include a commendation for Emerging Architecture Practice in the 2017 Houses Awards for Balnarring Retreat, Victoria. Here the brief was to create a space that could, ‘effortlessly switch between an empty nondescript shell of limitless possibilities to a fully functioning private residence - a knitting studio, a reading room, weekend drinks with the neighbours, yoga, christmas day lunch’. "Budget is no excuse for bad design." Balnarring Retreat by BRANCH STUDIO ARCHITECTS. Photography: Peter Clarke. Balnarring Retreat by day. Photography: Peter Clarke. Sydney architectural practice Anthony Gill Architects sensitive reworking of a terraced house in Waterloo won it praise for its sensitive reinterpretation of a heritage home. The judges of the House Awards 2017 praised its, ‘minimal intervention for maximum outcome’, with a ‘delightful and sustainable outdoor space achieved with an economy of means’. 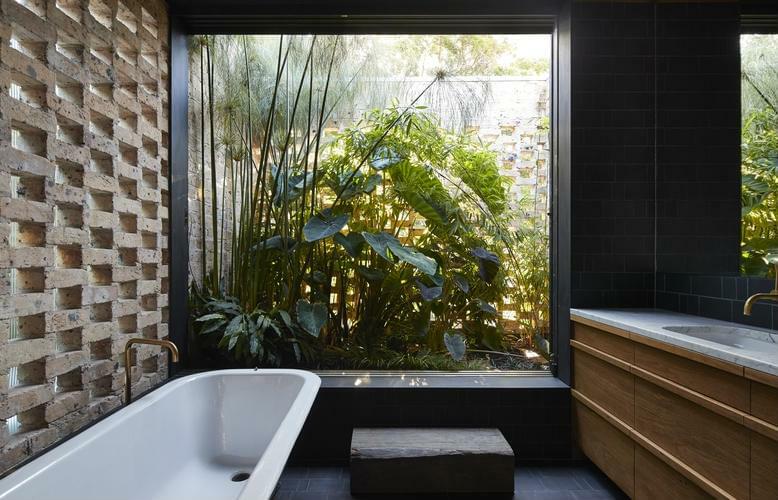 The architect worked with Budwise Garden Design to transform this home into a lush refuge from a relatively densely populated suburb - an effort that earned it the Outdoor Award. Waterloo House: inside. Photographer: Peter Bennetts. 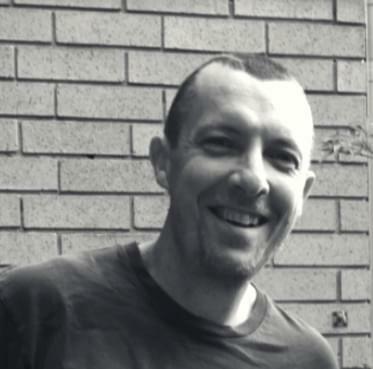 Adam Kane decided to established his own practice, Adam Kane Architects, after many years spent honing his trade in a series of high profile firms. 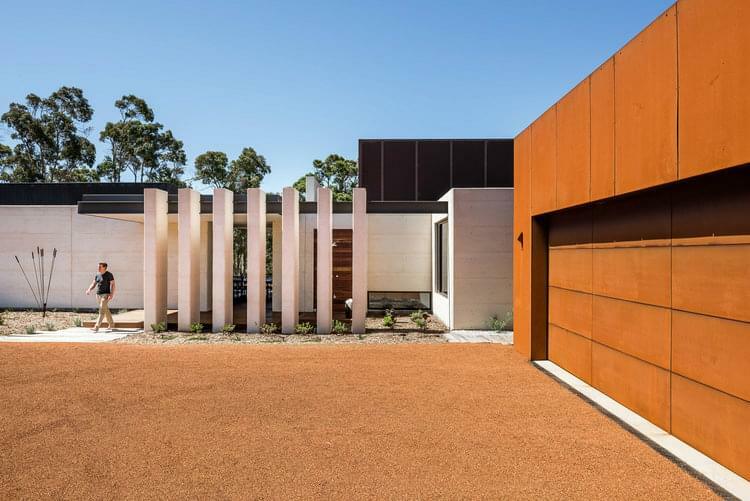 His acclaimed Hardwood House project in regional Daylesford, Victoria is designed to function as a single dwelling or it can and be two independent entities, with ‘separate entrances, facilities and outlooks’. 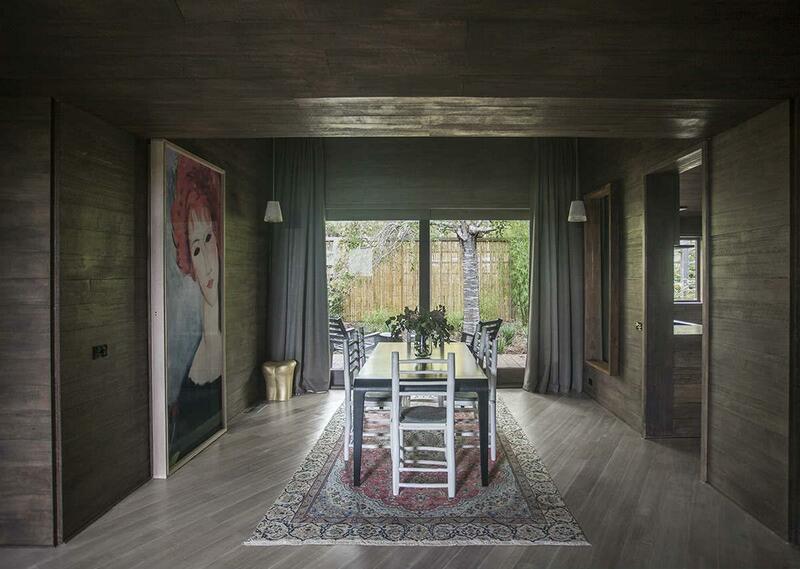 Here the warm textured timber dominates indoors and out, while helping it to blend into its setting effortlessly. Hardwood House by Adam Kane Architects. Photography: Adam Kane. Hardwood House exterior. Adam Kane Architects. Photography: Adam Kane. 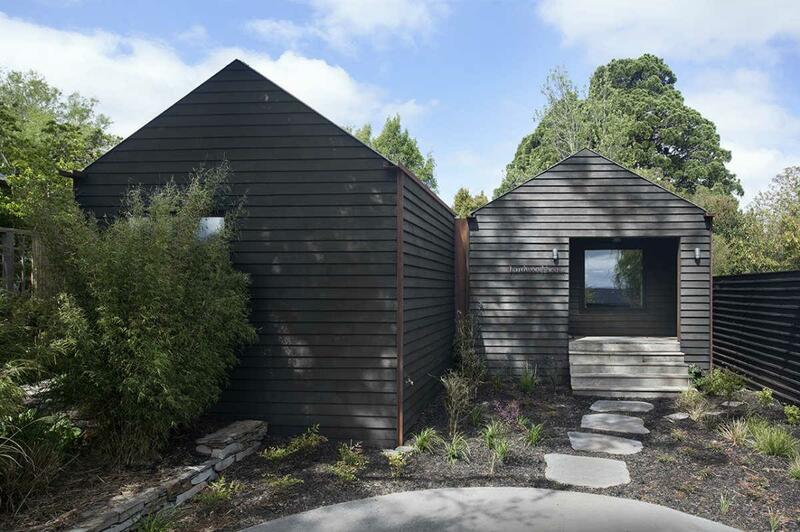 If you are looking for proof that Tasmania is the place of the moment, then take the time to survey the work of Poppy Taylor and Mat Hinds who comprise Taylor and Hinds Architects. Their take on this home near the confluence of the Franklin and Huon Rivers, has sweeping views, makes generous use of warm timber indoors and has a rather playful bathroom. T&H have a fairly active Instagram page, which details their work and what inspires them. Taylor and Hinds Cross House. For the practice directors of Brisbane-based m3architecture, designing something unexpected and extraordinary is a priority. 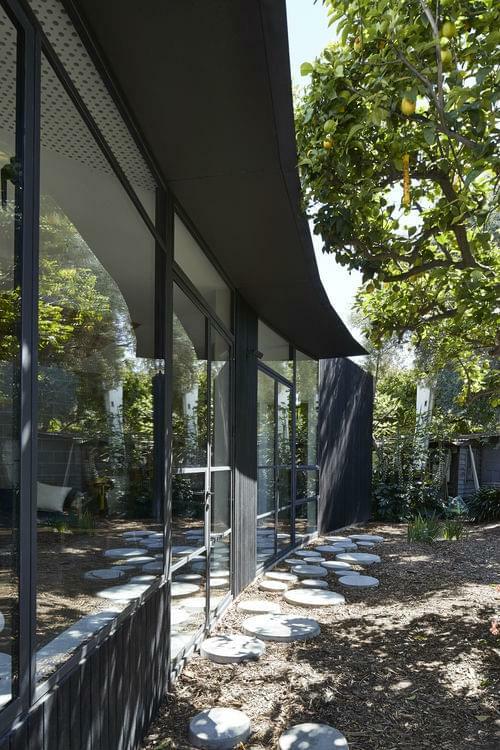 This is evident in their widely praised Cape Tribulation House, which is entirely off-grid and makes use of innovative black plastic cladding and mirrored glass for the exterior. 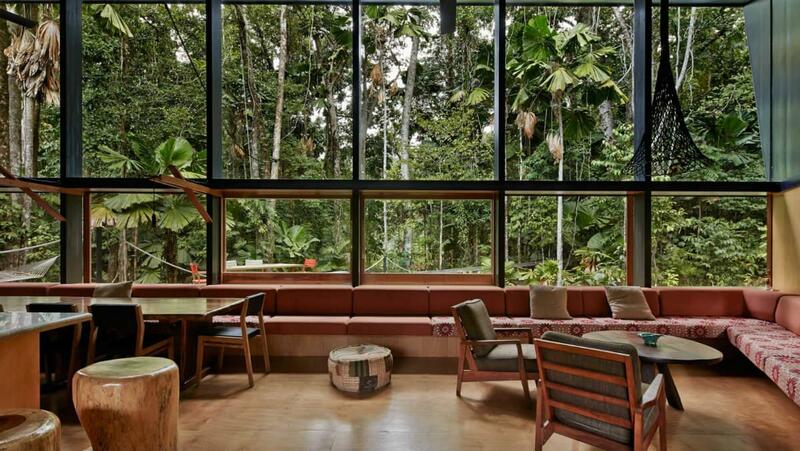 Tall south-facing windows offer generous views of the Daintree rainforest, where it is sited. 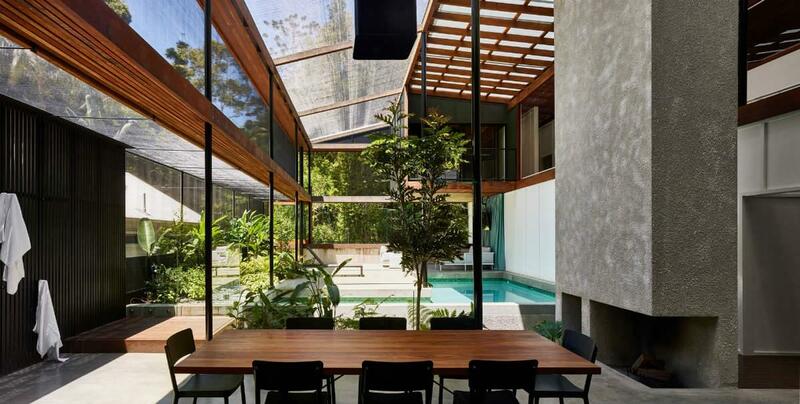 Cape Tribulation House by m3architecture. Photography: Peter Bennetts. 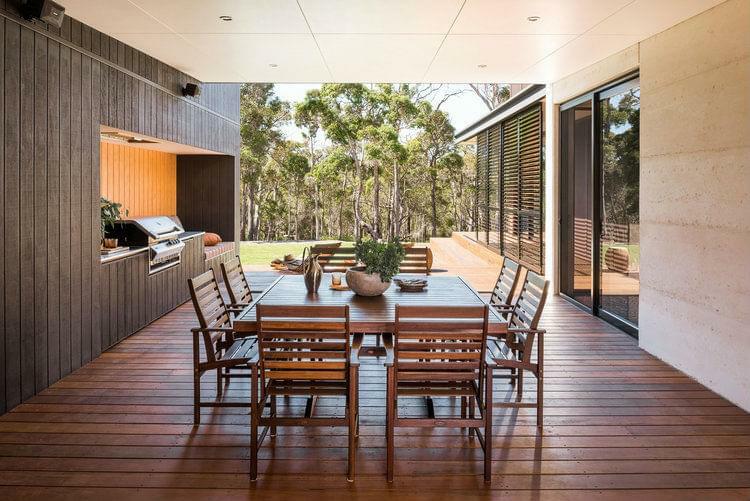 Paul Uhlmann Architects work on a diverse range of projects, from resorts and residential projects in Asia to homes right here in Australia. 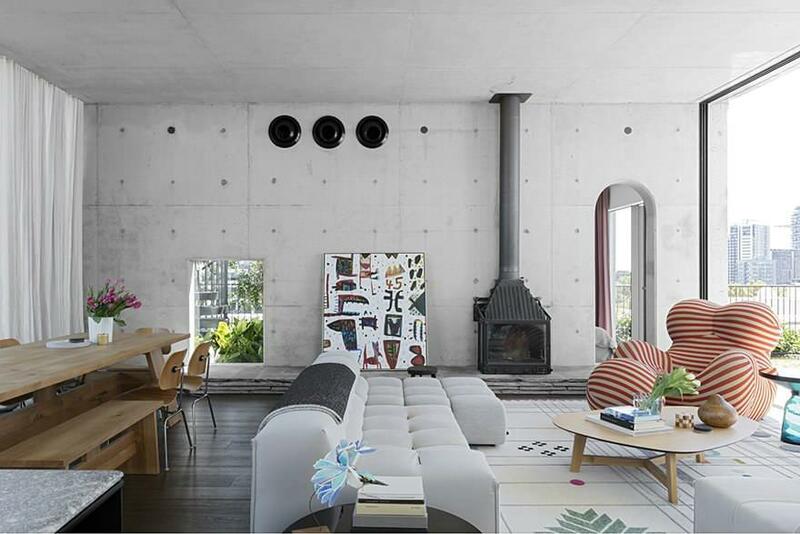 His Whale House, a two-storey beachfront home in Kingscliff, NSW, is defined by a large screen that wraps around from the side of the structure, and is where the name of the residence evolved from. It received a commendation in 2017 from the Royal Australian Institute of Architects (RAIA). And for your Instagram pleasure - feel free to browse his feed! The Whale House. 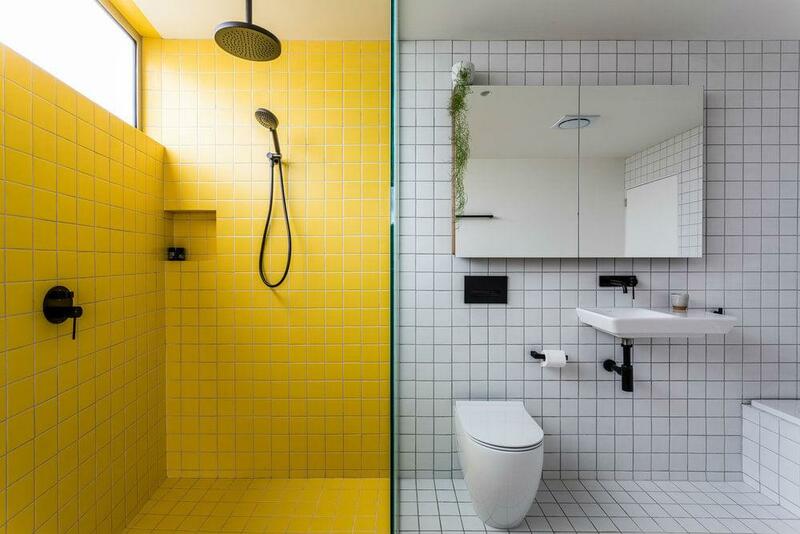 Paul Ulhmann Architects. 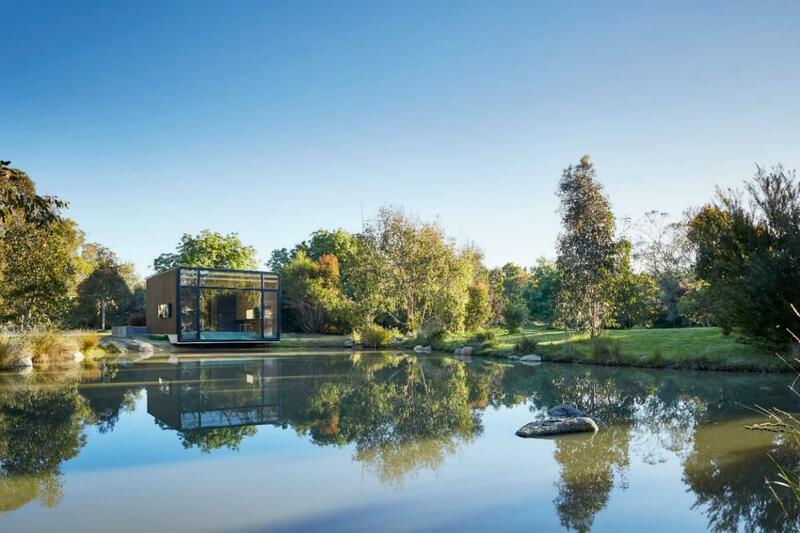 Another Queensland-based practice, Sparks Architects are committed to seeking a balance between the natural and built environment, with a view to creating spaces that inspire us and contribute to our quality of life. 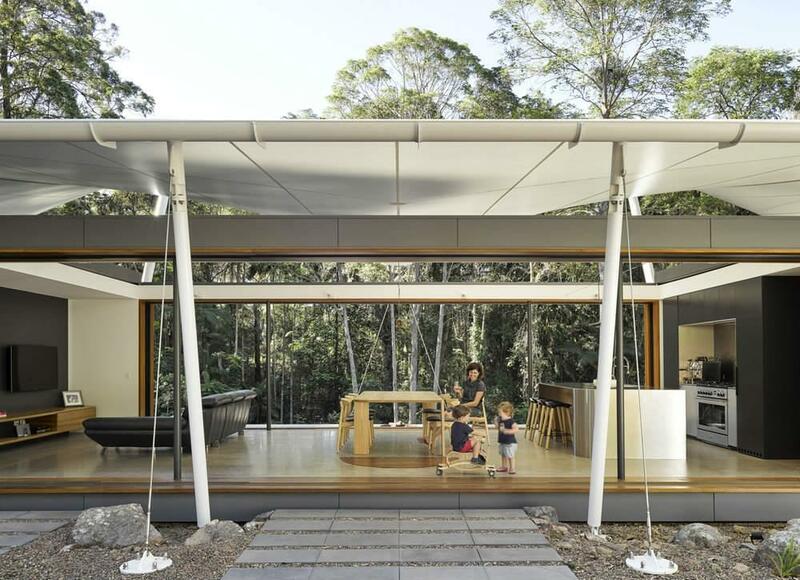 Their Tent House, near Noosa, is airy hybrid structure centred around an insulated central living area where the roof, walls and doors can be slid open to offer views of the surrounding forest. 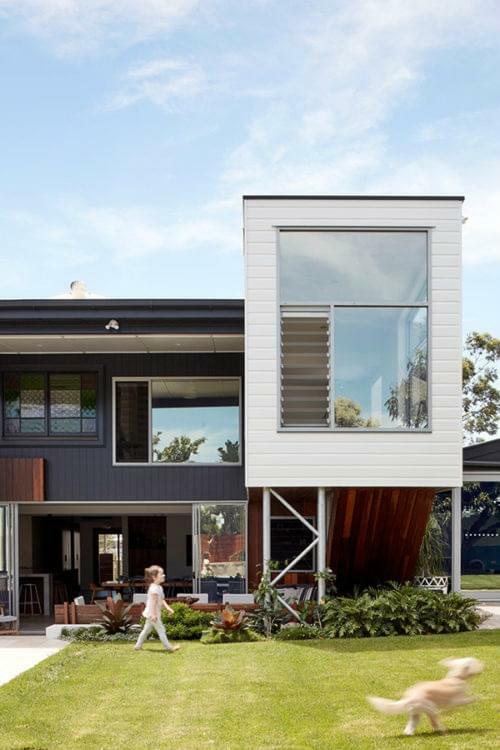 The home has garnered a host of awards, including AIA Sunshine Coast Award - Project of the Year and AIA Queensland State Award for Residential Architecture. You can also browse their Instagram for more eye candy and inspiration. 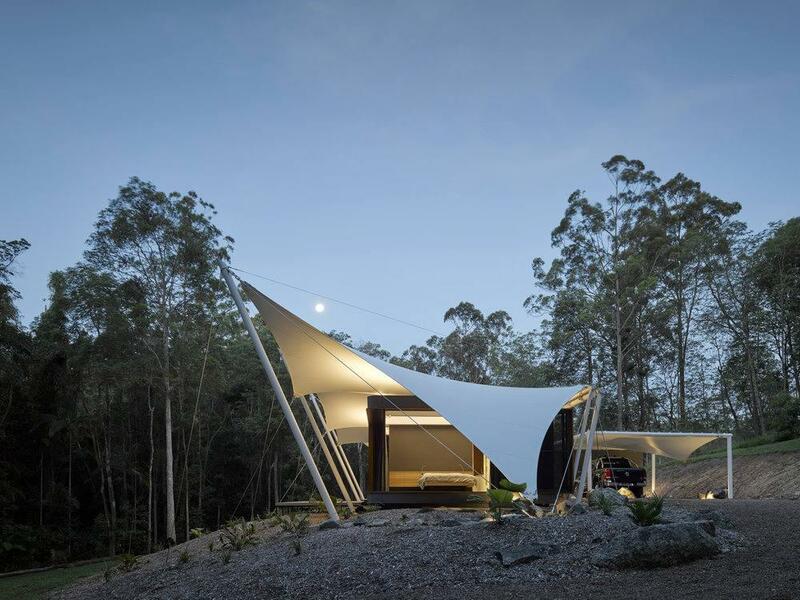 Tent House by Sparks Architects. Is there something in the water up in Queensland, or is it the generally agreeable lifestyle that produces so many inspiring practices? Another one to watch in 2019 are Base Architecture, who under the guidance of director Shawn Godwin continue to hit home runs. Case in point, Power Street, which is a renovation not a new build. 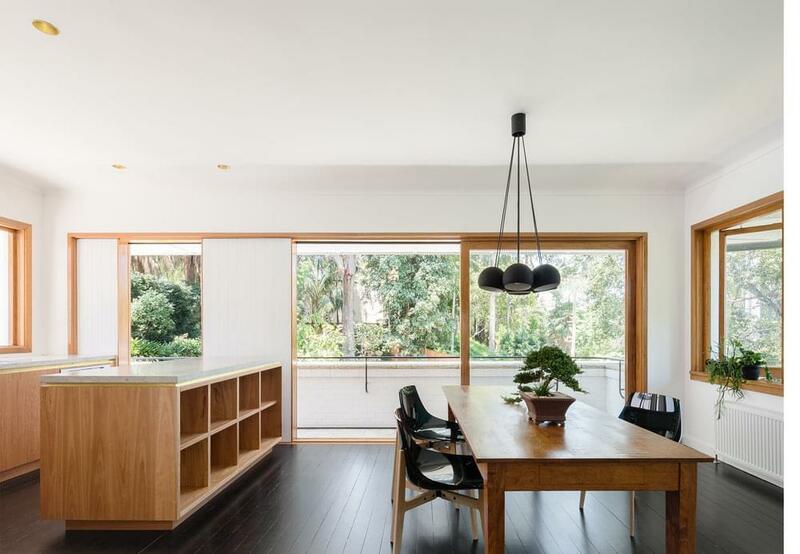 The addition was aimed at creating, ‘a strong indoor-outdoor connection’, achieved by subtle reconfiguration to, ‘encourage better circulation and suitability’ They also have an active Insta page - enjoy perusing! Power Street renovation by Base Architects. 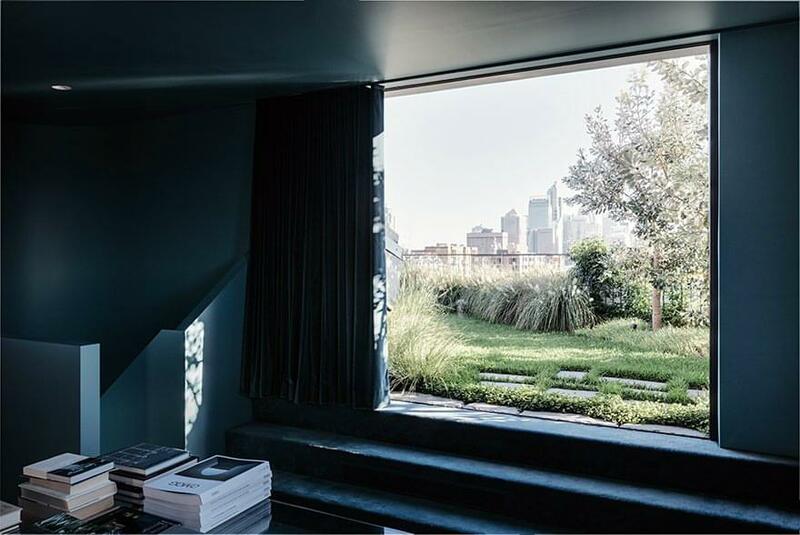 Sydney-based SJB are firmly high-end residential architects, with a slew of awards and stunning designs to their name. 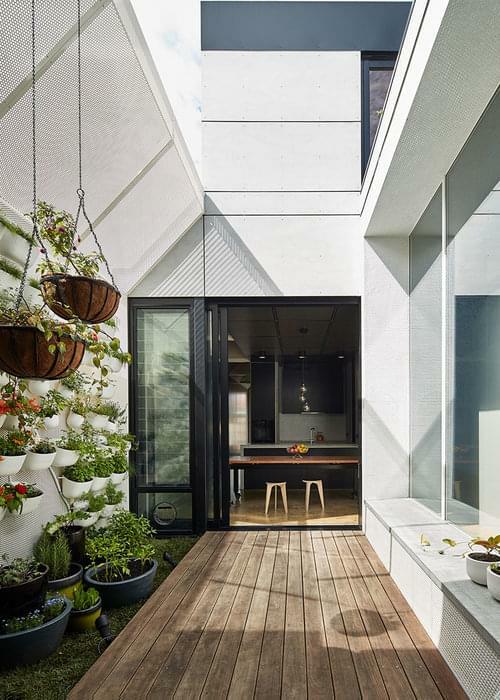 For their Cleveland Rooftop apartment, which happens to be owned by Adam Haddow, a director of architecture at the firm, the approach was to make the garden the focus of the home, rather than the apartment. The private garden is actually adjacent to a communal roof garden, but is still private and an oasis in the urban sprawl of Redfern. Inside skylights and large windows help keep the living areas light and airy. A real inner city rooftop refuge. Cleveland Rooftop apartment by SJB Sydney. Photography: Felix Forest. Cleveland Rooftop Apartment Interior. Photography: Felix Forest. Based in Western Australia, the Colour Royale Design Group (TCR Design) ‘specialises in residential and small commercial collaborations, delivering unique, cost and energy efficient solutions to suit the design brief of the clients’. 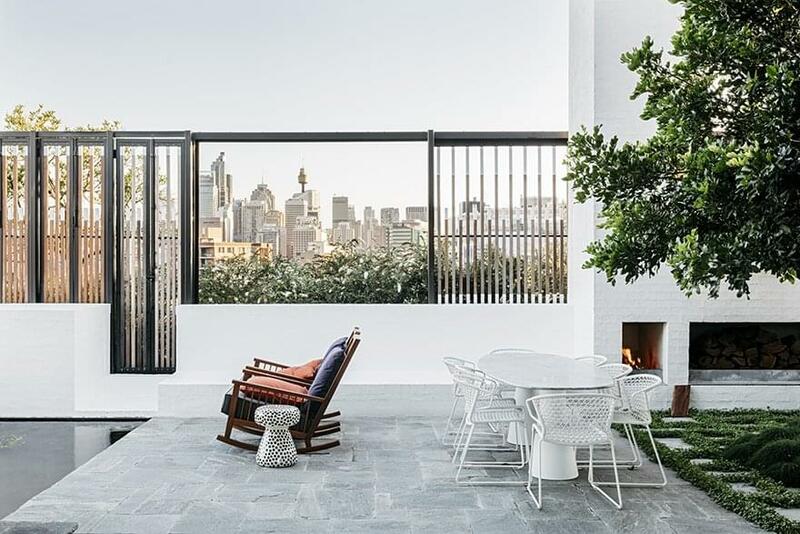 Their founding director and principal designer is Aaron King, who oversaw the much lauded K Residence, winner of the HIA State Residential Designer of the Year 2017, amongst other accolades. K Residence by Colour Royale Design Group. K Residence outdoor kitchen and entertainment area. 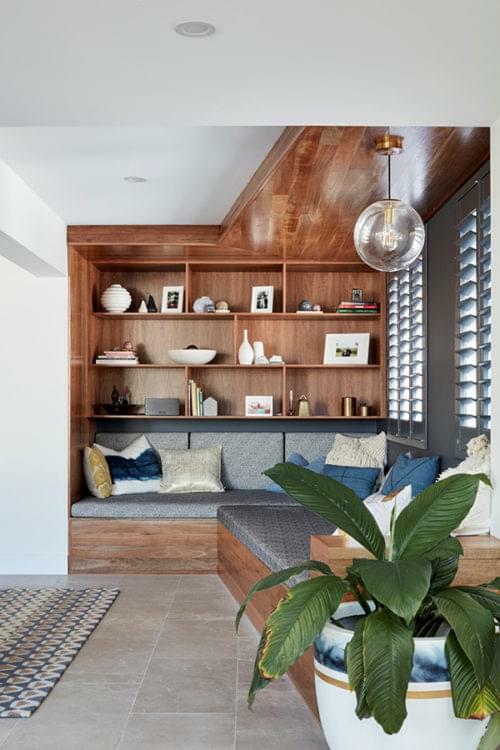 Marc&Co is a Brisbane based firm that are also informed by ‘living in subtropical climates; as well as ‘the connection and framing of landscape’. 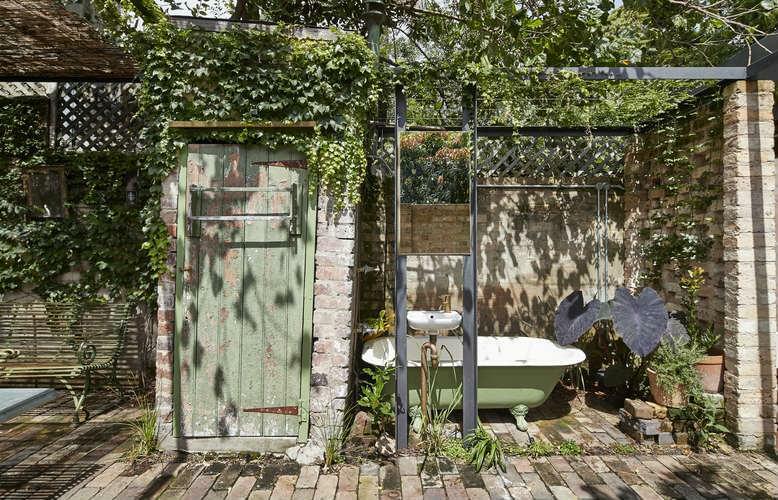 Their Studio for Indigo Jungle is inspired by rural shacks - except this one is in a backyard. The objective was to ‘offer a retreat from urban life’ with ‘a simple relationship to nature’ - certainly a space we can see being inspiring and calming all at once. Cribb House by Marc&Co. Photography by Alicia Taylor. 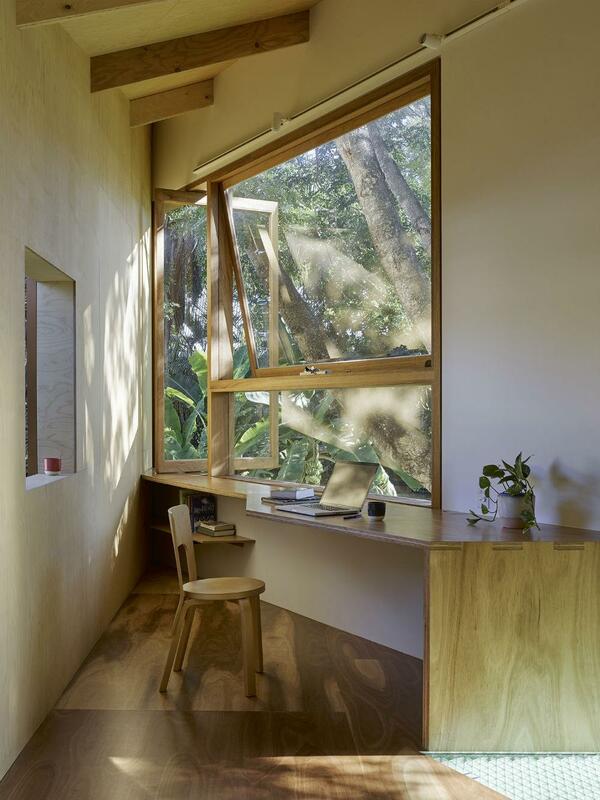 Another Brisbane practice doing great things, Phorm architecture + design, has particular focus on inner city projects, including the playful Taringa Treehouse. The structure is detached from the main house, where ‘a different mode of living’ is possible - a bit like an adult cubby house. 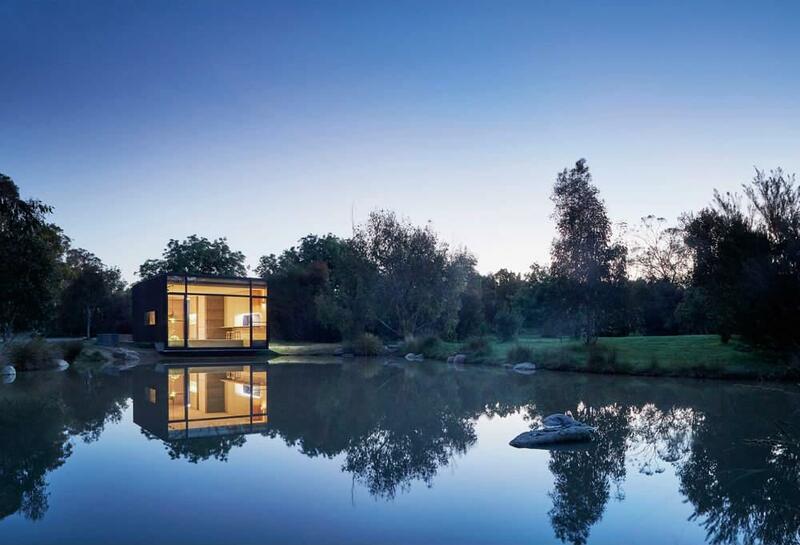 It is a tiny structure, with a footprint of less than 25m², which reflects the constraints of the backyard site. This impressive build has since been recognised with a RAIA Regional Commendation 2017 and a RAIA State Award 2017. 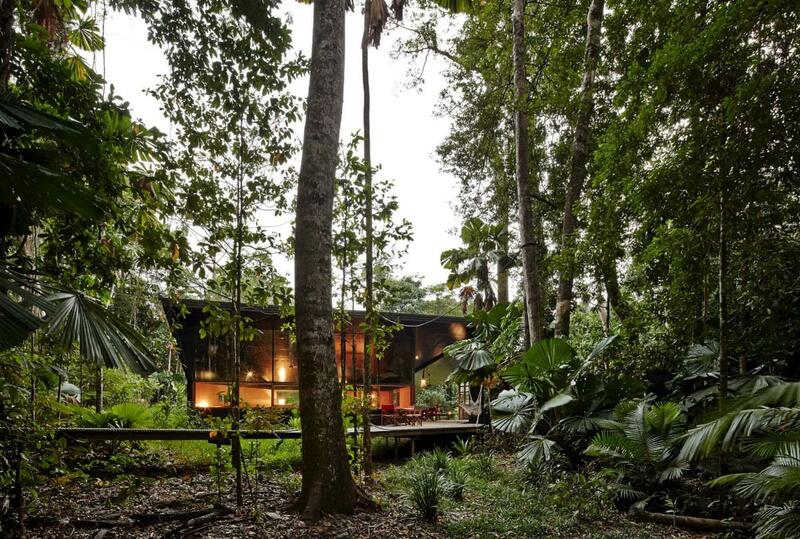 Taringa Treehouse by Phorm Architecture + Design. 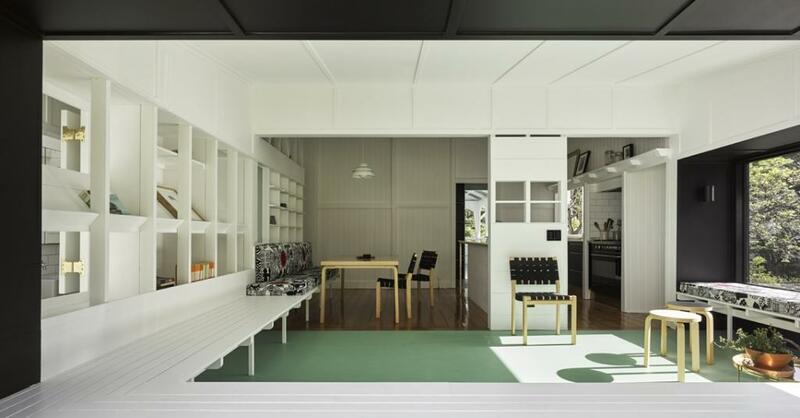 Breathe Architecture are a Melbourne-based outfit that have done something rather special, and green with this suburban home. 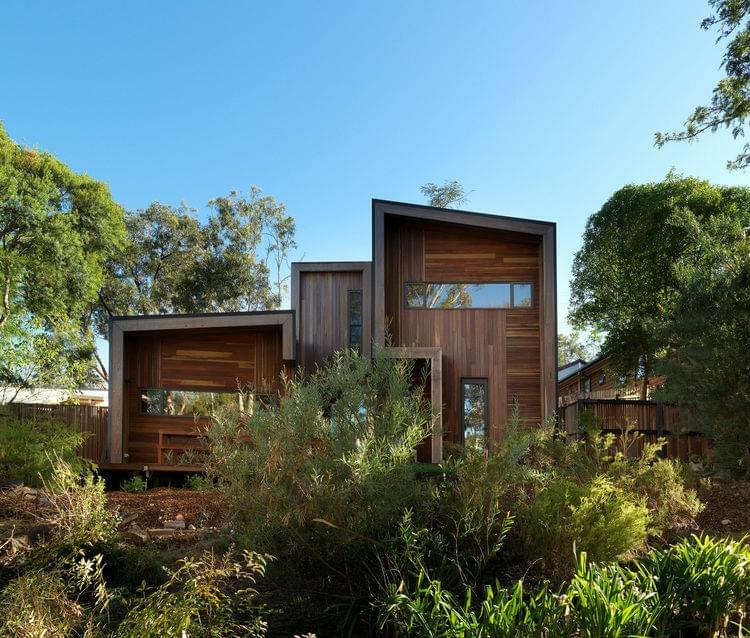 If timber is your thing, you are will love their take on an angular, suburban structure. There are acres of it in Into the Woods, from the dark hardwood clad exterior to the plyboard living room and kitchen. 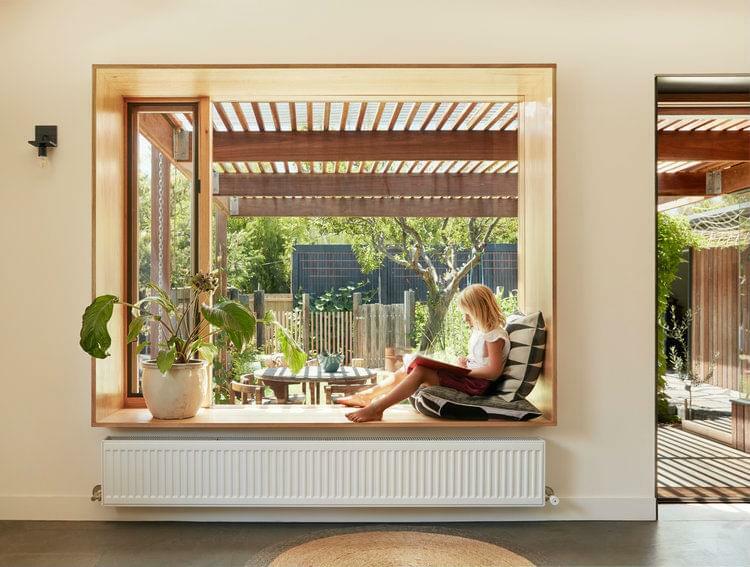 A low-tech approach was taken to heating, with a solar boosted hydronic heating system keeping things toasty underfoot over winter. This is also possible due to the double layer of insulation that envelopes the whole structure. And did we mention the impressive 7.3 star rating? Into the Woods by Breathe Architecture. Photography by Andrew Wuttke. 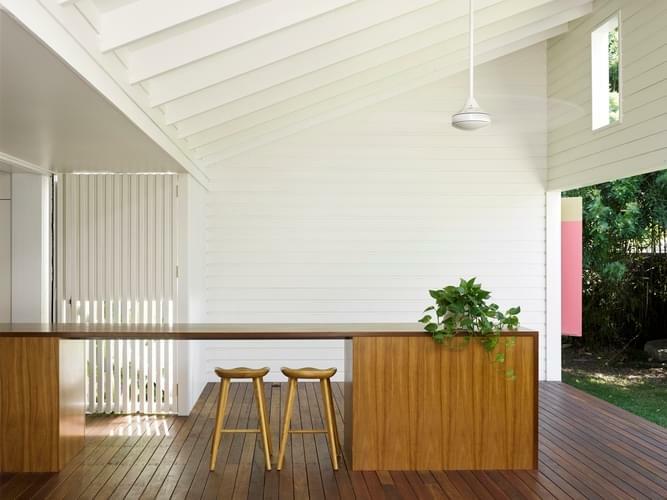 No wonder this interpretation/alterration of a traditional Queenslander won Vokes and Peters the 2017 Houses Awards - Australian House of the Year. 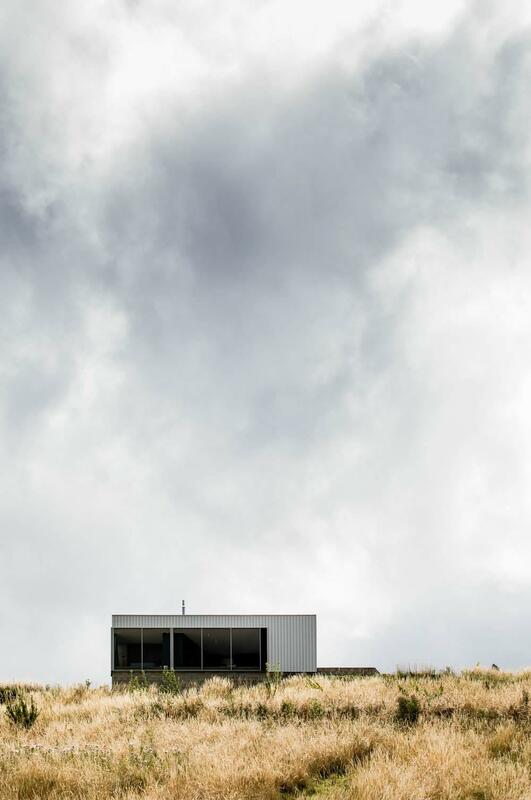 The judges found ‘Auchenflower House...an inventive model for working with traditional housing on suburban blocks and provides an intelligent and poetic paradigm for current practice’. And ample proof that you can marry heritage and modernity, without sacrificing too much of either. panovscott is the baby of Anita Panov and Andrew Scott, who aim to ‘define objects of lucid beauty that will offer a heightened experience of place’. 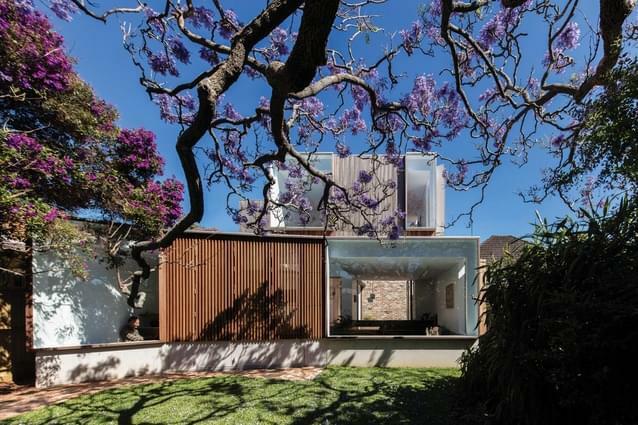 And in Jac they certainly succeeded, inserting ‘a new structure between...a federation era four room cottage, and ‘an astoundingly sculptural jacaranda tree’. It ticks all the boxes - light, airy and uncluttered. Jac by panovscott ARCHITECTS. Photography: Peter Boardman. Interior of Jac by panovscott ARCHITECTS. 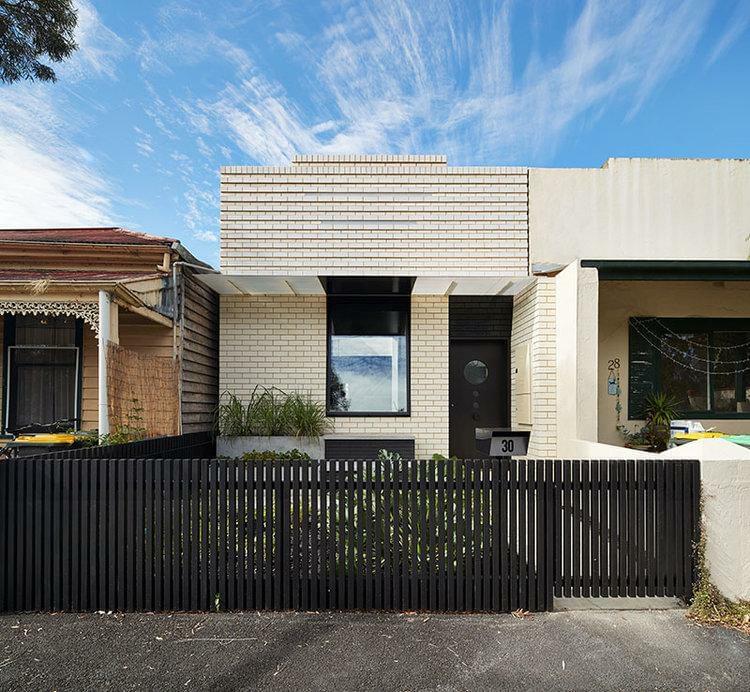 Fitzroy-based Architecture Architecture are all about ‘the potential of design, no matter if it's a backyard extension or a city skyline, the fundamental concerns of natural light, passive ventilation, social interaction and sensitive material selections are key to every project’ they work on. They did a stunning job on this heritage project - Dark Horse, a workers cottage that was given a new lease of life, with the addition of more light and contemporary materials on the inside. Dark Horse by Architecture Architecture. Photography: Peter Bennetts. 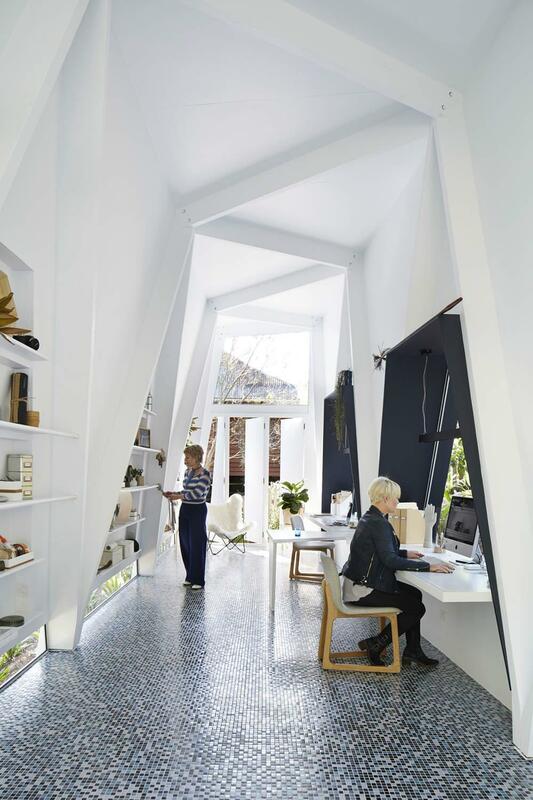 Dark Horse by Fitzroy based Architecture Architecture. Another Queensland-based architect doing great things, Matthew Eagle’s ME practice is all about pushing boundaries on the Gold Coast. 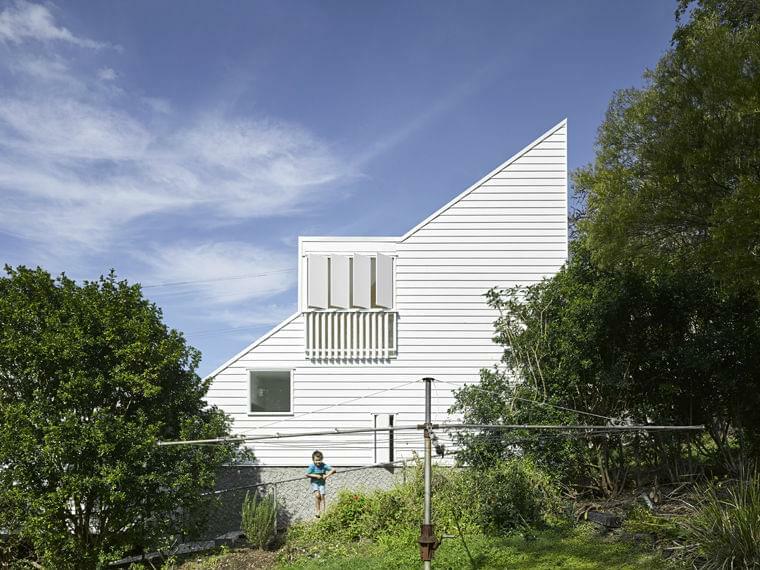 His residential projects look at coastal living in a new way, while keeping a home, ‘playful, liveable and affordable’. Burleigh Street House ticks all these boxes, with bright pops of colour and airy interiors. 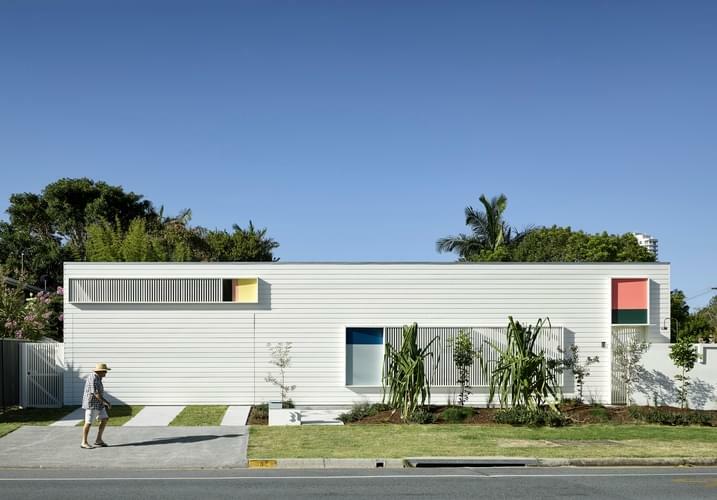 Burleigh Street House by Queensland based ME (Matthew Eagle). BLOXAS are a practice with a philosophy for ‘empathic and experimental architecture’, and believe the ‘built environment can have a therapeutic effect on people’s lives’. Their Garden Pavilion project was designed for someone with disabilities, so the approach was to prioritise the clients quality of life with airy, light filled rooms. This is evident in the privacy the home offers, while allowing for relaxation and enjoyment of the outdoor space. Garden Paviliion by BLOXAS. Photography by Peter Bennetts.